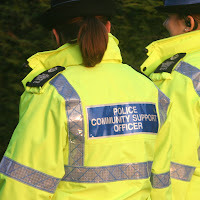 David Williams, Labour's Parliamentary Candidate for Crewe and Nantwich, has deplored the announcement by the Tories that they plan to scrap Police Community Support Officers. The Tory Shadow Home Secretary Chris Grayling recently announced that they plan to remove PCSOs from the beat if they win the next general Election. David Williams, Labour's Parliamentary Candidate for Crewe and Nantwich, presented a cheque for £100 to Aldin Francis at a local Labour Party meeting tonight. At a meeting of the Crewe and Nantwich Labour Party, held at The Crewe Arms hotel last Thursday, David Williams presented a cheque to Aldin Francis who is the latest winner of the Labour Party ‘Bonus Ball’ scheme. David said, “I am very often called on to speak at meetings and every so often I have the pleasure of being able to present a cheque. Tonight is one of those nights and I am very pleased to be able to present this cheque for £100 to Aldin Francis on behalf of the Crewe and Nantwich Labour Party. David Williams, Labour's Parliamentary Candidate for Crewe and Nantwich, has deplored the news that David Cameron’s Directory of Strategy abused railway workers. Channel 4 News reported recently that Steve Hilton, one of David Cameron’s top advisers, was arrested over a train ticket dispute. Conservative Central Office confirmed that the Tory Leader’s Director of Strategy was fined £80 for disorder in October 2008. 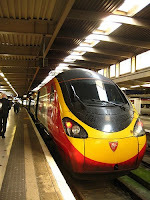 It is understood that Hilton was dashing to get the train back to London at the end of the party’s conference in Birmingham. He was asked to show his ticket, failed to produce it quickly and then got into a dispute with train staff. The police were called and he started to swear at the railway staff, He was promptly arrested and taken to a police station at Birmingham New Street. Once he had calmed down, he was issued with a penalty notice for disorder under Section 5 of the Public Disorder Act. David Williams, Labour's Parliamentary Candidate for Crewe and Nantwich, has welcomed the new regulations with give protection to Agency Workers from exploitation. The Government has this week laid regulations in the House of Commons that, for the first time, will entitle agency workers to equal treatment on basic working an employment conditions, including pay and holidays, as if they had been recruited directly by the employer. The new rules will come into force in October of next year. Equal treatment means things such as pay, holidays, overtime, rest breaks and access to vacancies and facilities such as workplace crèches etc. The Government is introducing the new regulations with the agreement of Trades Unions and employers, but the Tory Party remains opposed to them. David concluded by saying, “Should the Tories win power at the next election, they are committed to scrapping this and other important employment rights. I was shocked to hear that the current MP for Crewe and Nantwich is opposed to these important new workplace rights. I can only assume that he either does not understand that there are workers in Crewe and Nantwich, and indeed across the country, that are being exploited by rogue traders, or that he is happy to see local workers undercut and local jobs disappear." David Williams, Labour's Parliamentary Candidate for Crewe and Nantwich, hosted a meeting today with Veterans Minister, Kevan Jones MP, and local representatives of Veterans and the Services organisations. Early in December last year, David Williams was invited by the Nantwich branch of the Royal British Legion to address their meeting at the Conservative Club on Churchyardside in Nantwich, when he signed up to their ‘Do Your Bit’ campaign. Present at the meeting were representatives from the Royal British Legion, SSAFA, The Mercian Regiment, The Air Training Corp, The TA and various individual veterans. Pictured: Kevan Jones MP, Minister for Veterans, with David Williams and the veterans who attended today's meeting. David Williams, Labour's Parliamentary Candidate for Crewe and Nantwich, today welcomed the agreement for a debate between the Party Leaders and called for a local debate between candidates. David Williams, Labour's Parliamentary Candidate for Crewe and Nantwich, has today called the Tory proposals to introduce elected Police Chiefs ‘a dangerous politicisation’ that could lead to extremism in our Police Forces. 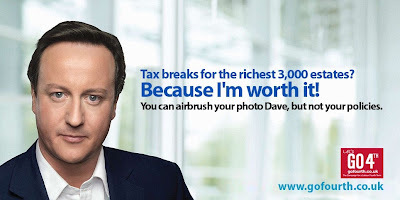 David Cameron has pledged that a Tory Government would introduce locally elected ‘Commissioners’ to run Police Forces. The Tory proposals follow controversial comments made by Boris Johnson’s Deputy, Kit Malthouse, who claimed that the Tories now “have our hands on the tiller” of the Metropolitan Police. The Tory plans have been described by Sir Hugh Orde, President of the Association of Chief Police Officers as “undemocratic” and Scotland Yard have expressed anger at the claims that the Tories are ‘running The Met’ and said that policing was “far too important to be used as a political football”. The family and I had a great evening out at the panto tonight. Another superb production by the team at the Lyceum Theatre in Crewe. We've been going every year since my eldest was a nipper and we've always had a great night out. Being the last night the cast were having a party on stage, playing jokes on each other and generally having a great time with the audience loving it. The whole thing overran by 30 minutes, I'll certainly be doing the last night again. It's a smashing theatre and should be cherished by all in Crewe and neighbouring areas. I just hope the Council don't see it as an easy target for budget cuts. They were certainly looking at it last year. Politicians from all sides, who support the Lyceum, must stand together and fight any attack on the theatre. I hope many more choose to have a great night out at the Lyceum Theatre - an Edwardian delight. “2009 was challenging for many people, but evidence suggests that the Government's positive action to help people through these difficult times has made a real difference. 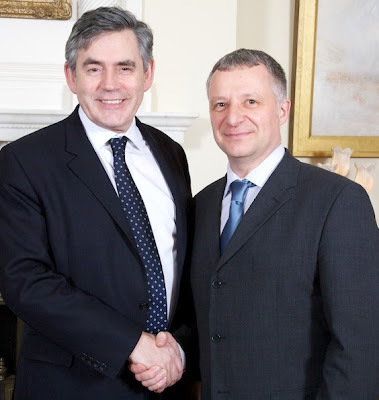 That is why I backed the exceptional measures taken by Gordon Brown. With unemployment and home repossessions fewer than in previous recessions, it appears that the mistakes of the 1980s and early 1990s have not be repeated. That does not mean we should be complacent. The recovery is very fragile and we must continue throughout 2010 to help people back to work and invest in jobs. Now is not the time to abandon people, putting jobs and homes at risk. "There is a real challenge for local politicians to work together for the future prosperity of Crewe and Nantwich. We need to get the Crewe Gateway Scheme up and running, with a station developed on it's existing site and a link road to the Basford development sites that could bring more than 7,000 jobs to the area. We need a town centre redevelopment and a new bus station to enable us to compete with neighbouring shopping destinations. And we need investment in training opportunities for young people so that they can have a good start to their working lives. "Of course this year there will be a general election and people will have their say on a range of issues. Confidence in MPs is low and voters will be looking for an open and honest debate, which is the only way we can rebuild confidence in Parliamentary democracy. "All the best for 2010."